Love soft serve? 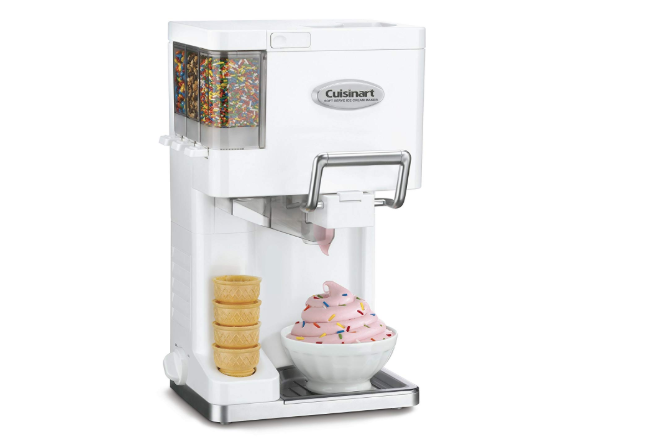 You’ll love the Cuisinart ICE-45 Mix It In Ice Cream Maker. Not only does it produce delicious soft serve ice cream, but it’s easy to use, affordable, and doesn’t take up much counter space. Soft-serve specialization: If soft serve is what you crave, why bother with an ice cream maker with bells and whistles and functions you’ll never use?